Can you believe it is already time for the kids to go back to school? The studio has been buzzing these past few weeks photographing Senior Portraits before everyone gets bogged down with school, sports, SAT prep and other activities! First up … we have Ms. Stephanie! This image was taken on the day she graduated high school! Next in line, Class of 2013, the lovely Hannah!!! Oh yes, she rocked the black drape as well. 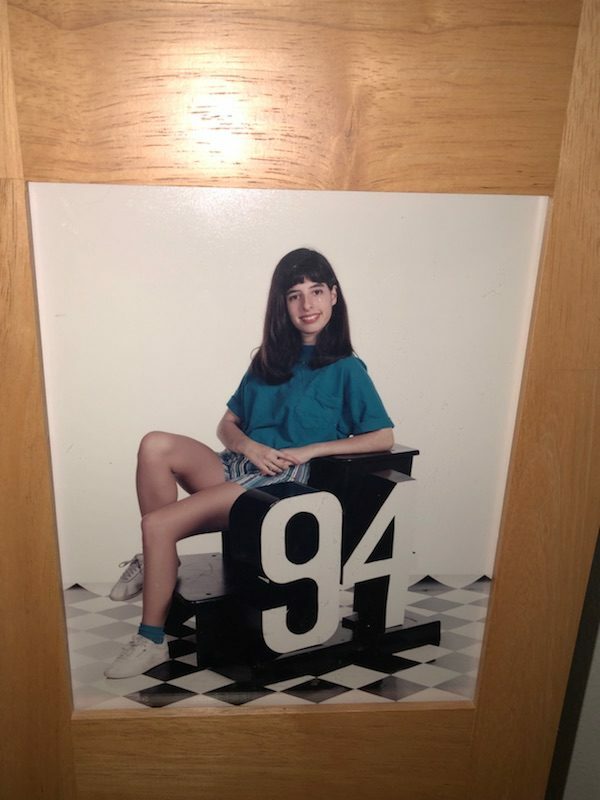 And last but not least…fresh out of 1994 as well … it’s ME and my giant 94!! !